This handmade wooden notebook / journal is crafted to order from hand cut, sanded, and stained wooden sheets. 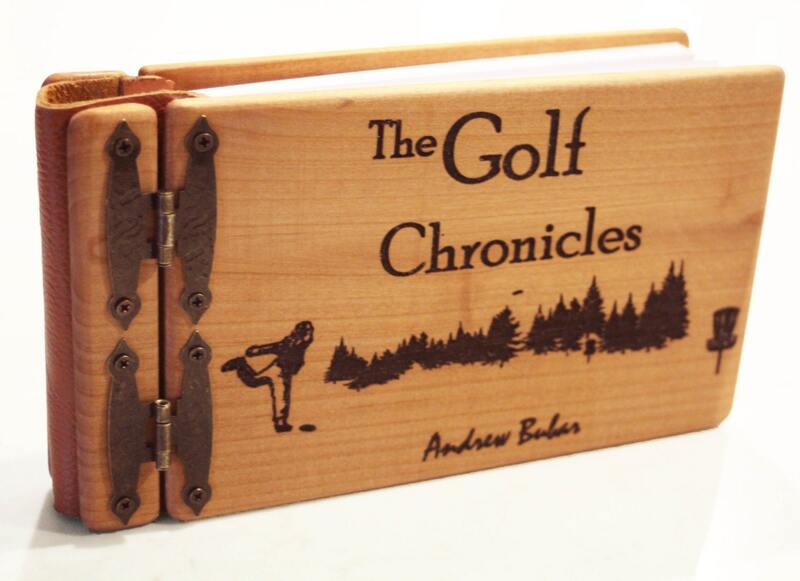 Each book can be make in either cedar wood, alder wood, or maple. Each piece of wood can be carefully and artistically stained using a layering technique to give it a unique dark rustic look or left plain to show off the natural wood colours and texture. This book comes unstained by default so send me a message if you would like this option. The spine of this book is made from genuine cowhide leather which is rubbed with mink oil to bring out a nice leathery smell. Different colour options are available by request. I will select a colour of leather that suits the book if no request is made. 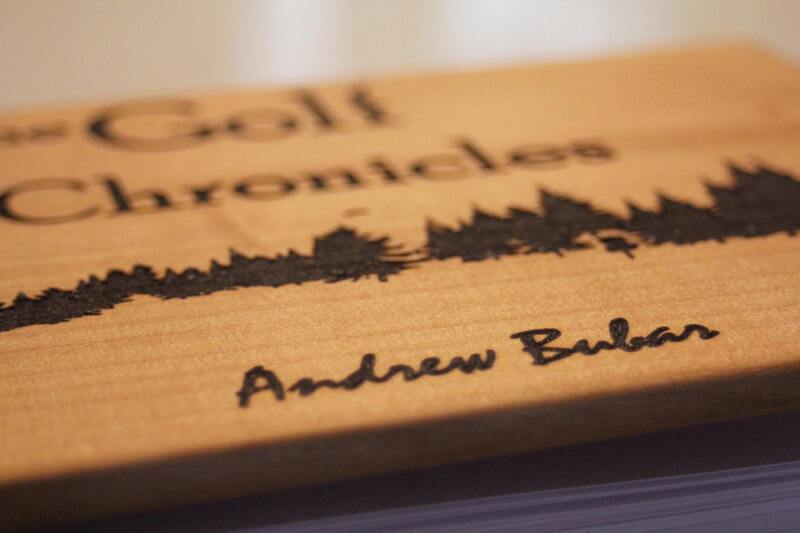 Once the book cover has been made, a personal message can be engraved into the cover. The Frisbee golf scene can be included or left out. 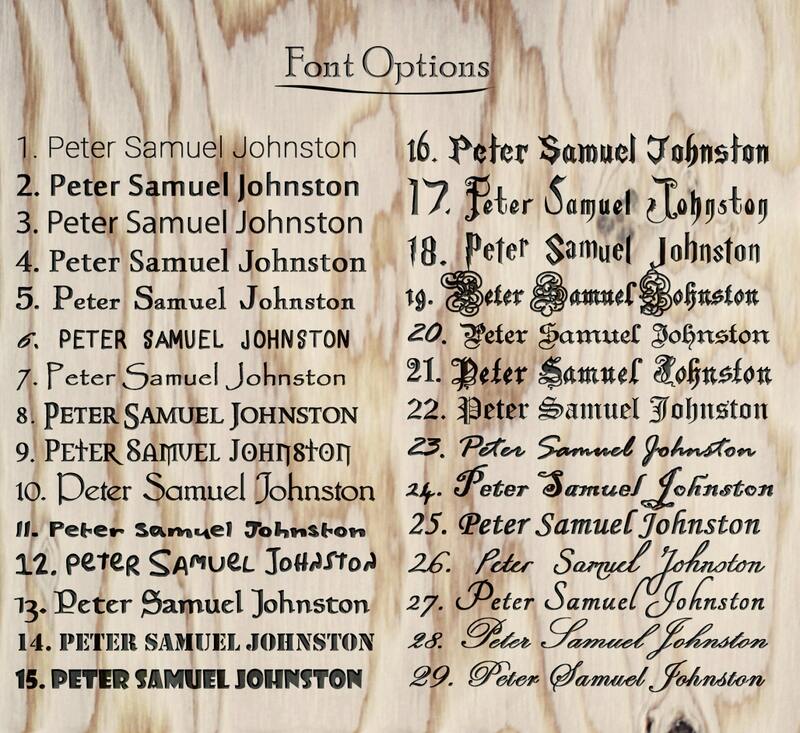 Once your order has been placed I will send you a few layouts and I will confirm the design with you before starting. Each book is roughly 10" X 5.5" (outer dimensions) and comes with either 50 sheets of plain white paper or 30 sheets of archival quality cardstock. 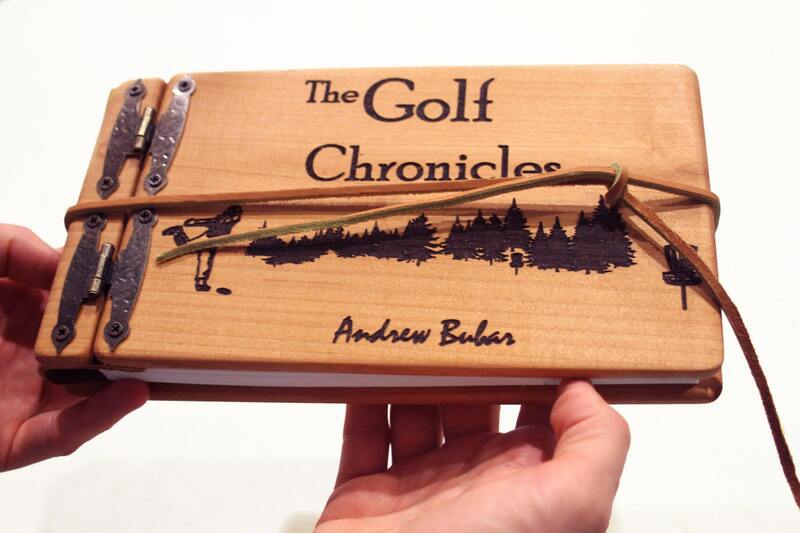 A custom book can be made by request.